Teenagers and technology is a tricky one. I’m no techno-bunny and even I have difficulty monitoring exactly what they are doing, particularly as my two older ones are IT whiz kids (the youngest is not far behind). We didn’t give our eldest a phone at all until he was 15 and a smartphone at 16. 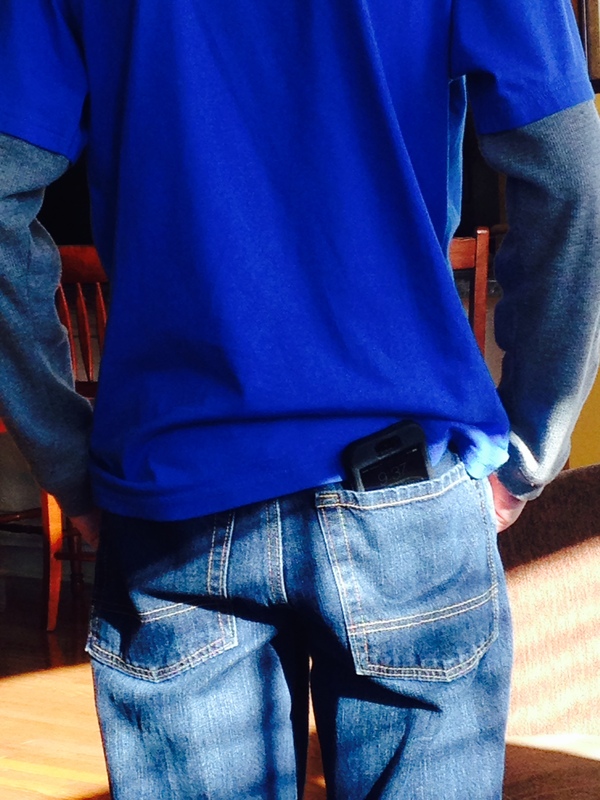 (Bribery to pass his guitar exam – the higher the grade, the better the phone. He got 82%. Sigh.) Maintaining control is a constant battle. Don’t you miss the days when all you had to do was worry about how much television they were watching? Thanks for your comment. I figured this topic might hit close to home for many parents dealing with the same things. At some point we have to let out the leash a bit and be prepared to reign it back in whenever necessary. But technology is here to stay and I figure we only have a limited number of years to impart our values when it comes to using it.